WHO STOLE MY LILY WHITE RICH SUBURBS? The Curmudgeon had no intention of recounting the various shortcomings alleged to be caused by, or exhibited in, the geographic phenomena we call suburbs–until he read the “Viewpoint” of this July’s issue of APA’s Planning magazine. Viewpoint commentator Mark Hinshaw (author of True Urbanism) draws attention to the not-well-known fact that 2012 is the 60th anniversary of the invention of the enclosed suburban mall by architect Victor Gruen. This is not a happy event for Mr. Hinshaw because Mr Gruen appears to be an unwelcome innovator whose progeny is the dastardly suburb. The shopping center boom coincided with the development of a national network of interstate highways along with a perfect storm of federal subsidies that encouraged people to live ever farther out. Malls became the hallmark of the outer edge of urban areas, leading the attack on farmlands, forest lands, and wetlands. Thankfully, Mr. Hinshaw contends “we seem to have reached the saturation point …. Most startling is the fact that almost no new regional shopping malls are being built anywhere in the U.S. Scores of malls are dead or dying”. Thank God! Suburbs have never fared very well in the media, academic literature, or with cultural elites. The discontinuity with all this disfavor is that two-thirds of metropolitan Americans live in the suburbs. Those miserable, environmentally toxic wastelands and those “things” called suburbanites are trouble. Hopefully that horrible episode in human history (i.e. the suburbs) seems “to be coming to the end of an era that has run its course”. No doubt, in the next few milliseconds the long trek back to the central city will begin and the highways, created by the perceptive Federal government, will flood with excited new inhabitants for the new high-rise Transit-Oriented Development apartment buildings which will no doubt spring up alongside the newly built mass transit stations (and systems). Suburbs have never fared very well in the media, academic literature, or with cultural elites. The discontinuity with all this disfavor is that two-thirds of metropolitan Americans live in the suburbs. Well, there is no doubt that the Great Recession and Financial Crisis of 2008-? has shut down the suburbs (and about everything else as well). But for some reason, (the census is a likely culprit) suburbs are the new hot topic and the news that is hitting the fan is that … well… suburbs are different than the intelligentsia thought they were! Suburbs, for instance, have poor people living within their boundaries; apparently exclusionary zoning and bigotry by rich whites didn’t work very well. About 85% of the nation’s 308.7 million people live in metropolitan areas and more than half (of the nation) are in ever-expanding suburban rings that encircle major cities. That a new pattern is emerging this century. Most of the growth is happening on opposite ends of the suburban expanse; in older communities (inner-ring) closest to the city and in the newer ones (exurbs) that are the farthest out. Congratulations suburb-haters; those lily white rich racists in the suburbs now have to share their car-oriented cesspool with the likes of some 15.4 million suburbanites who live below the poverty line (up 11.5% since 2009). Good Grief Charley Brown how can all this be? give their community high marks on (PEW’s) survey scale–compared to just 34% of city residents, 29% of rural residents and 25% of small town residents”. Suburbanites are significantly more satisfied with their communities than are residents of cities, small towns or rural areas. Ah but…. when survey recipients (all geographic locations) were asked if they could live anywhere what was their ideal home? They must have answered the suburbs? Nope! OMG, did they say a central city? Hold your tongue–NO! The most favored geographic location was the small town (30%), the suburb was second (25%) and the Central City and Rural area polling 23 and 21% respectively. This stupid war of central city and suburb has to stop! Can’t people live where they want to live–do they always have to be politically and residentially correct? For the Curmudgeon the issue is simple: suburbs exist and they are not going away–Deal with them! Finally, a report by Myron Orfield and Thomas Luce (University of Minnesota Law School’s Institute on Metropolitan Opportunity, July 20, 2012), to the shock of all lovers of the central city, states that “suburban communities are now at the cutting edge of racial, ethnic and even political change (who knows, they might even vote democratic?). 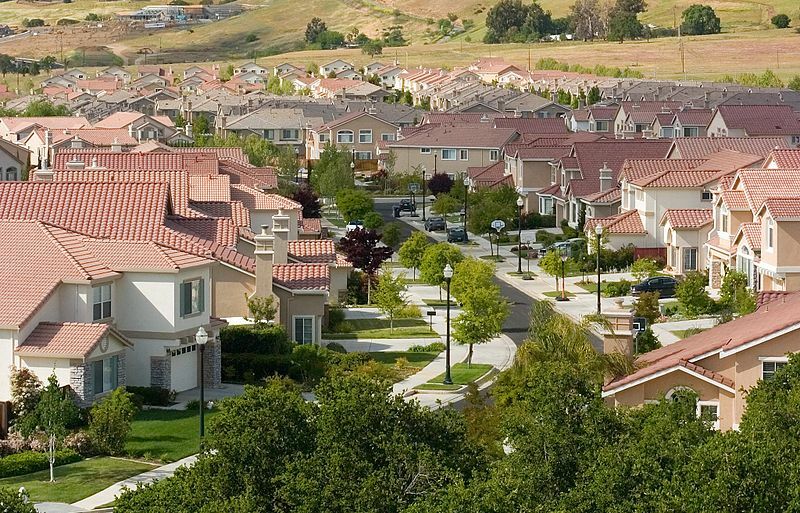 Racially diverse suburbs are growing faster than their predominantly white counterparts. Diverse suburban neighborhoods now outnumber those in their central cities by more than two to one”. (P.2, Orfield & Luce, America’s Racially Diverse Suburbs: Opportunities and Challenges, www.law.umn.edu/metro. This stupid war of central city and suburb has to stop! Can’t people live where they want to live–do they always have to be politically and residentially correct? For the Curmudgeon the issue is simple: suburbs exist and they are not going away–Deal with them! Not only do suburbs exist, but they still continue to attract 2 out of 3 metro dwellers, so the Curmudgeon simply wants to better understand what they are, and get some kind of feel as to what condition they are in these days of everything being in decline. That is why he choose to review Hanlon’s recent work, Once An American Dream, on American suburbs. There are several good books out there, he could recommend, in particular Dolores Hayden’s Building Suburbia: Green Fields and Urban Growth 1820-2000 (Vintage, New York, 2003) and for those more real estate-oriented Witold Rybczcynski, Last Harvest:From Cornfield to New Town (Scribner, 2007) or Robert Burgeman, Sprawl (University of Chicago Press, 2005) and, of course, Kotkin’s Edge Cities. We choose Hanlon for a variety of reasons which include (1) it is very short (less than 180 pages) which means it can be read by a time-strapped economic developer; (2) it overlaps into the 2008-2009 Financial Crisis and therefore is provides a good description of the suburbs–at least until we went off the proverbial financial cliff’ (3) and it struggles valiantly, more often than not unsuccessfully, to avoid the negative ideological treatment academics dish out to suburbs. For example, Once the American Dream mercifully, does not even list “sprawl” in its index. Once the American Dream is a book one can get a lot out of–if one can overcome several shortcomings which (1) make it a bit hard to follow in spots, (2) contain pages of tables which can, and should, be skipped over; (3) and are full of, for the lack of better words, theoretical and logical inconsistencies between its text and the rather obvious, though sometime subtle, data findings. 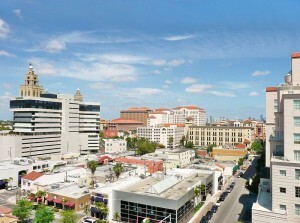 The great strength of her book and its findings are, in the Curmudgeon’s opinion, not her discovery that many suburbs are vulnerable and some are in crisis, but that suburbs are incredibly differentiated–far from uniform or monolithic in demographics, residential and commercial real estate markets, or even function. What the book can do, however, is center and focus its reader upon the rather basic and stark reality that all suburbs ARE NOT ALIKE. Suburbs differ among themselves in lots of important ways and now MUST be treated not as simply ” a suburb”, but as a particular type of suburb with its own market dynamics, demographic composition and fiscal capacity. This suburban diversity is music to the Curmudgeon’s tin ears because it is so obvious that while “suburbs” share the simple fact they are not central cities, they are so different from each other that to lump them all in one big and shapeless box which can be summarized by the words environmental disaster, sprawl, mediocre, boring, car-oriented and nightmare, INFURIATES him. Hanlon, at her best, is trying to understand the suburbs and to uncover and explain what differentiates one suburb from another. If the reader is sharp and connects her dots, she does a good job. Is this all faint praise for poor Dr. Hanlon. Not really-it certainly is not meant to be. She, along with John R. Short and Thomas J. Vininco, published a second (actually first) work, Cities and Suburbs: New Metropolitan Realities in the US (New York, Routledge, 2010) and that is really what the reader new to suburbanization should actually read. Cities and Suburbs, however, since it deals with suburbs in some detail for over 100+ years, is simply too long for our readership. If one does get ahold of “Cities and Suburbs” take a gander at Part II, “Metropolitan Complexity” –that is the area upon which we focus in this review. Suburbs are differentiated, i.e. widely varying. In essence, suburbs don’t fit the stereotype of sameness– or mediocrity for that matter. No longer standing in stark and oppositional contrast to the central city, many suburbs now resemble the central city-both the declining central city and the revitalizing one. There is a suburban type casting for everyone. The core message or underlying theme of both books is that suburbs are differentiated, i.e. widely varying. In essence, suburbs don’t fit the stereotype of sameness– or mediocrity for that matter. No longer standing in stark and oppositional contrast to the central city, many suburbs now resemble the central city-both the declining central city and the revitalizing one. There is a suburban type casting for everyone. Demographically and economically, suburbs no longer (as if they actually ever did) come in one size. Older suburbs can be inner-ring or elite, or even blue collar-industrial suburbs (some of which have maintained their core integrity for almost a hundred years). There are white, Hispanic and black majority suburbs; there are economically growing suburbs and those in crisis. There are new boomburb-edge city types and there are residential bedroom communities. New immigrant communities can be found in almost all of these types. And particularly exciting to the ever-weird Curmudgeon is Hanlon’s very detailed chapter discussing suburban types, their location in the inner and outer suburban rings, their underlying dynamics, all of which vary considerably among the four census regions. Western suburbs are not Northeastern suburbs. Western suburbs differ dramatically from Midwestern which differ from Southern, which differ from Northeastern. Regions matter when it comes to suburbs. 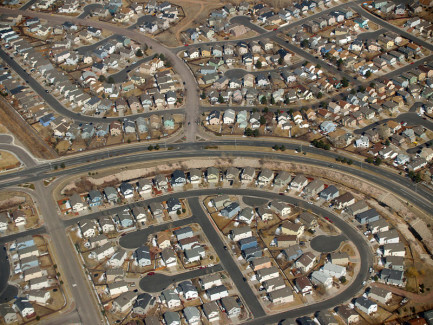 There is no nation-wide single type of suburban experience. There is so much diversity and differentiation within suburbs, the challenge is to find how to understand these differences and to reduce the complexity brought about by their diversity. Since they are not just one thing, what are they? How well are each of their various sub-types, what problems do they have and what particular policies can help them out? Once an American Dream calls attention to the reality of decline in many of our suburbs. As her book title suggests, she is most concerned with inner-ring, first tier suburbs which overall she believes are in the most danger of decline today. After reading Once an American Dream, however, this reader is struck at how widespread is the suburban “crisis”, but how widespread is vulnerability, and, surprisingly, prosperity, in our various regional suburban sub-systems. Frankly, the Curmudgeon leaves Once with the sense there is so much diversity that even concepts like inner-ring and exurbs really are at best a superficial veneer. Suburbs to resuscitate an old metaphor from federalism are not a layer cake, but a marble cake. This section is hard to write if you are the Curmudgeon. He has always, for some perverse reason, thought that suburban life varied depending on the particular suburb one was talking about or living in. He never really understood the very many people, both in academia and in professional life, who saw the suburbs as basically identical and the people in them uniform carbon copies of each other. Hanlon is all about suburban diversity. Methinks the reason why she spends so much time with methodology and tables is to convince the suburban monotheists using the only language they know, math, that the suburbs are different. They have always been different, are different now, and show every sign of continuing their distinctiveness. To the Curmudgeon that is Hanlon’s overriding message. First of all, Hanlon talks about inner and outer-ring suburbs. This is nothing new. The latter have had lots of names over the years, including boomburbs, edge cities, exurbs, and sprawl. The former have just been called first tier suburbs. But right off the bat Hanlon devotes a chapter differentiating suburbs on the basis of when they were first settled. She divides the historical evolution of American suburbs into four major periods. The first movement, suburban elitism, settled previous to World War II, most shortly after World War I. are suburbs typically, but not always, created by wealthy elites, escaping the congested, smog-filled central cities. There is no white flight (African-American migration was in the future), nor were there highways, FHA, or mortgage interest deductibility. 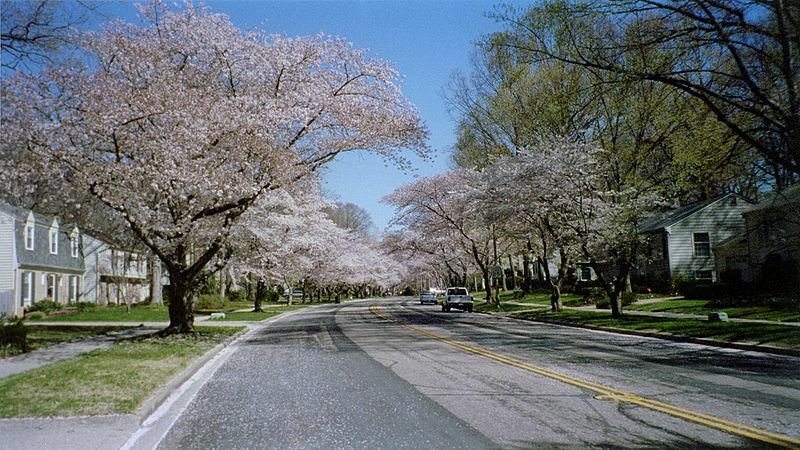 These were suburbs were characterized by “curved, tree-lined streets and lanes that meandered to large, very beautiful houses surrounded by lush greenery. … Wealth was a central feature in the rise of these very first suburbs”. (P.13) Think Grosse Pointe or Shaker Heights, Llewellyn Park and Chevy Chase. Suburban Diversity, the third movement, in its own way as important as Suburban Homogeneity followed in the twenty years after 1970. During the suburban diversity period, the stereotypical conception of suburban monogeneity associated with the Hanlon’s suburban homogeneity was shattered–EXCEPT few noticed and for all practical purposes the image of suburban homogeneity persisted in academia, literature and the popular culture despite the reality so obviously apparent to even a casual observer. It was during the suburban diversity period that the outer ring of the suburbs evolved and boomed. This is the period of Edge Cities, boomburgs and when the Tyson’s Corners-style exurbs really emerged. Accompanying this new outer ring was the ever present sales tax generating mall and the plethora of large lot subdivisions which came to be called “sprawl”. The reaction to sprawl generated by its gaudiness, waste, and environmental consequences, caused the first stirrings of “smart growth” and “New Urbanism”. Our present suburbs are hugely varied and wracked and woven with strands of poverty, wealth, prosperity and income decline, population losses, stagnation, and gain, fiscal stress and strong fiscal capacity, good school and bad schools, and new McMansions amid aged, if not obsolete housing. 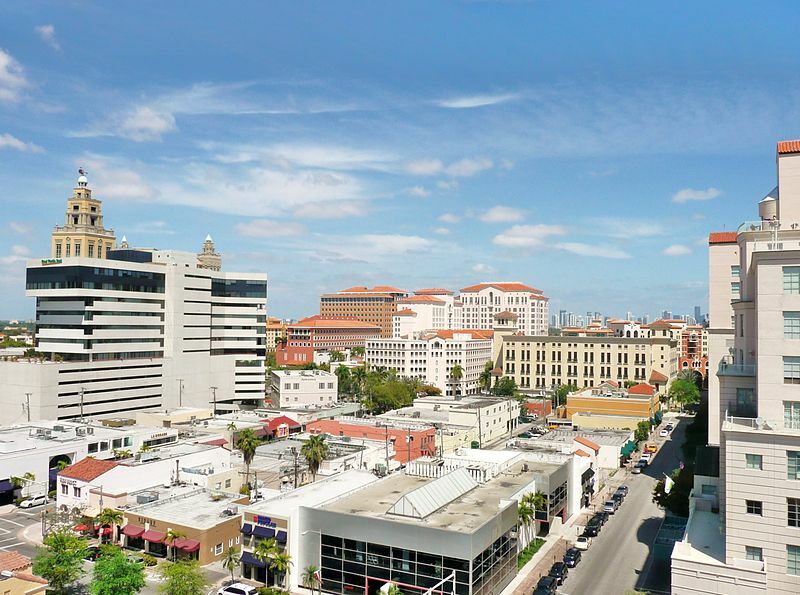 This is marble cake suburbanization–a suburbanism no longer remotely fitting the established layer cake paradigm which persisted stubbornly in the literature of sprawl, smart growth and New Urbanism. Hanlon’s subsequent description of ongoing suburban dichotomy soundly outlines how our present suburbs are hugely varied and wracked and woven with strands of poverty, wealth, prosperity and income decline, population losses, stagnation, and gain, fiscal stress and strong fiscal capacity, good school and bad schools, and new McMansions amid aged, if not obsolete housing. This is the marble cake suburbanization I mentioned earliered–a suburbanism no longer remotely fitting the long dominant-layer cake paradigm which has persisted stubbornly in the literature of sprawl, smart growth and New Urbanism (not to mention a recent review of Triumph of the City by Glaeser). In her chapter, “Forces Shaping Inner-Ring Suburbs” Hanlon very briefly outlines several models or theories which can explain the process and mechanics of suburbanization. The two most influential models are “the suburban life-cycle” and the second is the “social stratification” model. These models are well developed in the literature have been tossed around for almost seventy-five years. Hanlon seems to embrace the latter in her following chapters and the Curmudgeon feels compelled to acknowledge he thinks much of the former. Edgar Hoover and Richard Vernon (1962) are regarded as the godfathers of the suburban life cycle or more precisely the neighborhood succession model. They wrote that “neighborhoods undergo a process of life-cycle change that involves five distinct phases: development, transition, downgrading, thinning-out, and renewal. (P.43) The critical variable in each of these five phases is the age of the housing stock (and secondarily the income level of replacement immigrants). “Neighborhood change is a trickle-down process where, as time passes, older neighborhoods in the inner city become occupied by poorer households.” (P.43) This process is called filtering (Hanlon calls it income segregation) as the “housing stock filters down the income ladder, with the oldest and cheapest housing eventually occupied by the poorest families. (P.44) Neighborhood succession, starting with neighborhoods in the central city, did not stop at the city borders but continued into the first tier suburbs–and by logical extension it also explains why the exurbs grew in later periods. Filtering postulates that housing sales price is positively correlated with housing age, that people buy what they can afford, and hence we sort ourselves out by income into neighborhoods of increasingly aging housing stock. As original homeowners acquire greater wealth with age, they move up to newer housing usually located at the periphery. In any case homeowners balance buying as much house can be afforded while still being able to travel to one’s job in a reasonable commute. As generations mature and pass on, the urban settlement moves inevitably outward (sprawls if one must) into the newer, more expensive homes built on the periphery, obviously attracting the more wealthy. This filtering can be interpreted as a process characterized by free choice, exit opportunities, and “moving on up” (We regret the recent passing of Sherman Hemsley) if you work hard and achieve the American Dream. OR it can be interpreted as something much more sinister, and that is the social stratification approach. Social stratification’s “main tenet is that inequality in suburbia exists and is increasing because high status suburbs capitalize on their high status positions and low status suburbs continue to deteriorate” (Hanlon, P. 44, quoting J. R. Logan, “Industrialization and the Stratification of Cities in Suburban Regions”, American Journal of Sociology, 1976). In this model, affluent suburbs protect their affluent status through exclusionary – large lot zoning, high taxes, (the Curmudgeon would add smart growth density and building code requirements), and expensive services. The social stratification of the suburbs results in its fragmentation creating eventually the suburban dichotomy between restrictive, but vibrant and affluent suburbs and the unsuccessful, increasingly poverty-stricken, racially diverse and therefore declining suburbs. The social stratification of the suburbs results in its fragmentation creating eventually the suburban dichotomy between restrictive, but vibrant and affluent suburbs and the unsuccessful, increasingly poverty-stricken, racially diverse and therefore declining suburbs. The social stratification process, more along the lines of class warfare, re-labels filtering as income segregation, and infuses the latter concept with poverty and anti-racial and immigrant-related overtones. For Hanlon, income segregation frames the basic division between declining inner-ring and the more vibrant outer-ring suburbs which lie at the heart of her last period of suburbanization: suburban dichotomy. From the Curmudgeon’s perspective, Hanlon’s most interesting observations result from regional suburban distinctiveness. Two impactful dynamics seem to account for yet additional regional variations. First is immigration and the second, de-industrialization. First, the conventional suburban motif, drawing from the “suburban homogeneity” post-WWII phase of suburbanization, contains no hint that the suburban phenomena varies by census region. Hanlon describes Northeastern and Midwestern suburbs which developed in the first two suburban movements, but then comments that most Western and Southern suburbs mosty developed during the later “suburban diversity” period (because their growth periods sky rocked after 1970). In addition, since the central cities of the West and South moderated and altered the dynamic of suburbanization through annexation, the ensuing suburban pattern differed noticeably from that of the Northeast and the Midwest. The central cities retained more of their population (and have actually grown), at the “expense” of becoming sprawling, automobile focused, low density urban areas. The South in particular, Hanlon notes, has very few inner-ring suburbs. Adding to this regional differentiation, two impactful dynamics seem to account for yet additional regional variations. First is immigration and the second, deindustrialization. De-industrialization, Hanlon states, crippled the Midwest especially, impacting the Northeast to a lesser extent. The Midwest suburban dichotomy (Rustbelt) is the consequence of deindustrialization primarily, setting it apart from the suburban dichotomy pattern uncovered in the South and West where immigration and non-white dispersal to the suburbs is more impactful. The Northeast, perhaps surprisingly, while hurt by deindustrialization , disproportionately holds a lion’s share of the older, pre-1945 elite and middle-class suburbs, does not share to the same extent in the suburban dichotomy as do other regions. 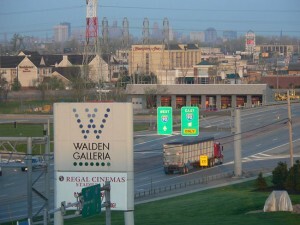 “The contrast of the Midwest with Western suburbs is dramatic. Inner-ring Western suburbs grew and growth was largely fueled by an immigrant population.Certain cities and inner-ring suburbs hollowed out in many metropolitan areas of the Midwest between 1980 and 2000”. Annexation in Sunbelt suburbs didn’t stop Western and Southern suburbanization, however, as Western and Southern suburbs grew by adding “eighteen million new residents between 1980 and 2000”. (P.59) Northeast and Midwestern suburban growth during this period was much more muted, but outer rung Sunbelt suburbs exploded, while Western and Northeastern inner-rung suburbs grew and Midwestern inner-ring suburbs lost population (population declined in 75% of Midwestern suburbs). 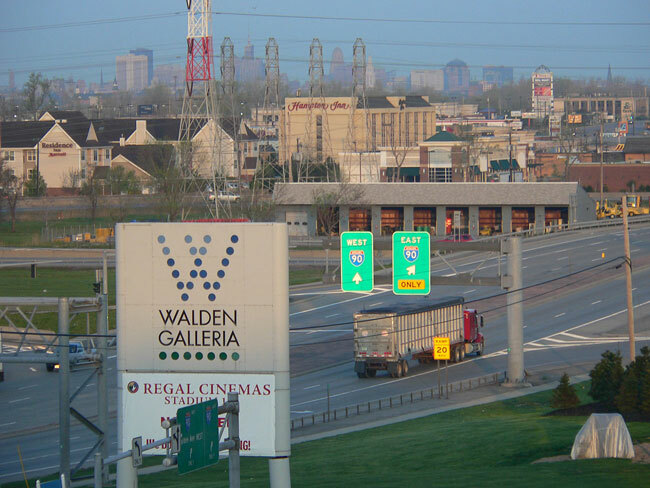 “The contrast of the Midwest with Western suburbs is dramatic. Inner-ring Western suburbs grew and growth was largely fueled by an immigrant population. (P.65) Certain cities and inner-ring suburbs hollowed out in many metropolitan areas of the Midwest between 1980 and 2000”. (P.60) Outer-ring suburbanization, however, did occur in the Midwest (but much less in the Northeast). In other words, the core negative narrative associated with sprawl and its physical, planning and environmental consequences is most true of the Midwest and its intensity varies by region. Immigrant population growth occurred in each region, but for Hanlon this immigration was a double-edged sword. “Population growth among inner-ring suburbs across the nation was inextricably tied to immigration. Rather than seeing immigrants as a source of revitalization, however, many suburban communities struggle to accept the changing demographics”. (P.68) (aka social stratification model) Inner-ring immigrant populations, for Hanlon, were often a source of tension and controversy. While adding to a suburb’s population, immigrants often brought unwelcome diversity to suburb’s original residents and threat, if not reality, of future economic and social decline. Using relative income as her measurement variable, Hanlon identified 206 poor inner-ring and 395 affluent suburbs nation-wide in 1980; by 2000 the number of poor inner-ring suburbs increased to 360 and affluent dropped by one to 394. Also, the number of poor outer-ring suburbs was constant between 1980 and 2000 (377), but the number of affluent outer-suburbs increased from 367 to 488. (P.83) Inner-ring suburbs become poorer versus outer-ring suburbs became more affluent. This is the suburban dichotomy for which she has named the last and still current period of suburbanization. Inner-ring suburbs become poorer versus outer-ring suburbs became more affluent. This is the suburban dichotomy for which she has named the current period of suburbanization. The regional story, however, is more complex–and, for the Curmudgeon, more interesting. In the Midwest especially, but Northeast as well, poor inner-ring suburbs increased and in the Midwest, affluent outer-ring suburbs also increased BUT while inner-ring suburban poverty increased in South and West, affluent outer-ring suburbs declined also. In addition, the Northeast increased the proportion of affluent, inner-ring suburbs-unique among all the regions. (Did the reader follow all that?) These regional distinctions make for a difficult and subtle reading, but a conclusion that logically follows is somewhat obvious: Suburbs vary, and the pattern of variation differs among the nation’s regions. Overall nation-wide, inner-ring suburbs are becoming poorer and outer-ring more affluent; the picture, however, is more fuzzy at the regional level. It would seem there are regional disparities and regional dynamics which need some explanation. So far we have learned that both inner and outer-ring suburbs in Northeast and Midwest are different, and both are different than the suburban pattern found in the West and South. Each region exhibits its own suburban pattern. Immigration is key to understanding the Western pattern of higher poverty in both inner and outer-ring suburbs; non-white exodus to the inner-ring suburbs is crucial to the South, and secondarily immigration. De-industrialization devastated the Midwest which has many affluent outer-ring suburbs, and to a lesser extent the Northeast which, being more service center driven, has more affluent inner and outer-ring suburbs than any other region. Just what the reader is looking for– yet another Hanlon typology that supposedly brings order to all this diversity and subtlety. Hanlon concludes by constructing a typology of four different types of suburbs which are prevalent today: elite, middle class, vulnerable, and ethnic. (P.114) Elite suburbs (Llewellyn Park, NJ, Scarsdale, Glencoe, Highland Park (Dallas), Chevy Chase, Piedmont or Olmos Park) (about 12% of the total, disproportionately in Northeast and Midwest. Western elite suburbs are slightly more diverse (Asian), are more affluent, and, in many cases have surprisingly old housing. Aged housing is supposed to be a bad thing, obsolescence, income filtering, poor upkeep and all that–but apparently some suburbs escape that fate. Hanlon, in an earlier chapter, talks about the “suburban persistence” model which posits that suburbs, established as long as a hundred years ago, can be perceived and perceive themselves as of a certain character and composition such as upper class or middle class. Through the dreaded exclusionary zoning mechanisms, these suburbs maintain that character, preserve their schools, pastoral setting, and property values, despite all the changes unleashed by time. In these elite communities, income levels, and sound, but aged, housing are maintained. Middle class suburbs (35% of the total) are more diverse, but still stable communities. Income is high to moderate and poverty rates are low. The Northeast and South hold disproportionately more middle class suburbs than the other regions–the Midwest proportionately the least. Northeast and Midwest middle class suburbs are more likely to be white, but in the West and South forty per cent of their residents were Hispanic, Asian or Black. Most of the Southern black middle class inner-ring suburbs were in the Washington DC and Atlanta areas, and of course, Hispanic suburbs in the South were adjacent to Miami and West Palm Beach. Typically, these middle class suburbs were formerly elite suburbs in the days of yore (street car suburbs). But now their housing is aged-but usually well maintained- and enjoying high property values. Middle class suburbs are also deemed to be potentially vulnerable and to maintain their status ought to be expected to launch new programs, especially in housing, and if necessary in economic development, if their desirable current status is to continue. The third type of inner-ring suburb is the Ethnic suburb. Constituting about 7% of all suburbs, these ethnic enclaves “are struggling postwar suburbs that are typically poorer than other suburbs” (P.129). About one in four residents were foreign born in 2000…. almost two-thirds of the population were Hispanic (mostly Los Angeles suburbs), and another 10% were non-Hispanic black. Only 23% of the residents are white. The poverty rate in 2000 averaged 18% for ethnic suburbs, but the median value of housing was only slightly less than middle class suburbs. The West has most of these ethnic suburbs and the Midwest the least. Housing age and quality is the major vulnerability of ethnic suburbs and the chief culprit is their “throwaway architecture” built during the immediate postwar period. Nationally almost 50% of all inner-ring suburbs do not come close to matching the traditional monolithic suburban image/ paradigm. This is a concern for Hanlon in that their real life demographic composition and often desperate fiscal and housing needs can be ignored or depreciated by the powers that be. The final category, vulnerable suburbs, are Hanlon’s chief concern. About 47% of all suburbs, “vulnerable suburbs” are predominately working class, often ravaged by deindustrialization, and in decline. Most noticeably they are disproportionately Midwestern (60% of inner-ring Midwestern suburbs) and Southern (50%). The West (28%) has the fewest vulnerable suburbs (despite all those bankruptcies we hear about these days). The suburban crisis appears to exhibit regional disparities. Usually vulnerable suburbs have experienced “more racial and ethnic transition” (P.122) than middle class or even ethnic suburbs in that only “seven out of every ten residents were non-Hispanic white in 2000”) and on average were 16% black. Vulnerable suburbs can exhibit racial tensions and increasing racial transition (Cleveland Heights). Fair housing and potential racial segregation can be very real issues in vulnerable suburbs as can the fiscal implications of working-class community in racial transition–property values struggle and taxes cannot keep up with the increased need for services and modernization. The fragility of these communities, especially in the Midwest, owes its heritage to deindustrialization and the aging in place of their blue collar residents. Characterized by scattered brownfields, “the aftermath of deindustrialization is a major challenge” (P.124) to vulnerable suburbs. Nationally almost 50% of all inner-ring suburbs do not come close to matching the traditional monolithic suburban image/ paradigm. This is a concern for Hanlon in that their real life demographic composition and often desperate fiscal and housing needs can be ignored or depreciated by the powers that be. The false perception of our suburbs potentially can cripple or render still-born any larger effort to overcome their difficulties. These vulnerable communities may be the chief casualties of an ideological war against the suburbs–because they reside outside the central cities, they receive little earmarked assistance or attention, but their needs and opportunities are just as great. But before we introduce it, a word to the wise. It is clear to the Curmudgeon, and hopefully to the reader, that clinging to the old, post-World War II motif of sprawling, identical, white flight-federal government supported suburbs is in need of some update. In fact, if the Curmudgeon may suggest–throw it in the trash can. That all-too traditional stereotype never really existed, except perhaps for the Northeast and Midwest for a relatively brief period certainly ending by the 1960’s. Even then more perceptive commentators such as Jane Jacobs (who hated suburbs) allegedly commented that a suburb was simply an intermediate stage in density, which would over time come to resemble core cities. This position, even if apocryphal, was prescient. Hanlon was also prescient and wrote her book previous to the release of the 2010 census findings. Gingerly at times, Hanlon deserves considerable credit, and some reward for her academic courage, to cross with the paradigmatic treatment of suburbs exhibited by many professionals and academics. Yet, the reality of her data vividly demonstrates that as early as the late 1970’s, the suburbs were diversifying and rapidly departing from the homogeneity of the fifties and sixties. Her description of the suburban variation among region, the variation in inner and outer-ring suburbs, and the more precise demarcation of the patterns of migration and the varying causes of suburban differentiation (especially immigration and deindustrialization) should be a wonderful start to a greater appreciation by economic developers and advocates of regionalism that suburbs have legitimate needs and that there is no single strategy with which to deal with their revitalization or maintain their progress. It is remarkable when one reviews the data since the 1980’s that so many folk refused to deal with the changes and the obvious suburban diversity. For some reason, unknown to the Curmudgeon, the 2010 census seems to have upset the apple cart (has anyone ever seen an apple cart–in 65 years on earth the Curmudgeon has not!). In any case, suburbs should not simply be judged solely in context of their relationship to their regional central city, but also as viable, and in many cases threatened, communities meriting both respect and attention. With the census release, commentators on suburban diversity have emerged in some number. Three reports seem potentially impactful and should be reviewed by the reader at her leisure. The first, by William H. Frey, “Melting Pot Cities and Suburbs: Racial and Ethnic Change in Metro America in the 2000s” (Brookings, Metropolitan Policy Program, May 2011), and the previously mentioned most recent Myron Orfield and Thomas Luce, “America’s Racially Diverse Suburbs: Opportunities and Challenges“, (Institute of Metropolitan Opportunity, University of Minnesota, July 20, 2012). Our last must read is the Pew Research Center’s, “The Rise of Residential Segregation by Income, by Richard Fry and Paul Taylor, August 1, 2012. The Curmudgeon, kinda feels these three reports would be an excellent follow-up to this article and he has placed them on his calendar. You’ve been warned! But in the meantime, the next Curmudgeon review, due out before the end of the summer, explains as well as possible the fundamentals of innovation economics. Explaining Romer and Krugman et al and putting them in some sort of context is not a task for the faint at heart. But a gentleman named Warsh did it and the Curmudgeon will inflict his summary and review upon those gluttons for pain that peruse this web site. Bless you all, and to all a good August. Once an American Dream has constructed a sample of almost 3500 suburbs from the 100 largest metro areas. This is a pre-2010 census book, so she uses ACS 2000 data for her key variables which include: population, poverty, race, income, age of housing, manufacturing employment, and ethnicity. She briefly reviews some literature in order to provide background for her definitions and findings, and while it is apparent Hanlon is borrowing upon past research, she is consciously attempting to pave new ground and arrive at more useful and comprehensive definitions suitable to describe the suburban reality. The specific methodological techniques, which another reviewer describes as “interesting”, are actually fairly conventional shift share, location quotients, correlation analysis, and a ton of percentage-based tables. While the tables, definitions and methodological explanations consume many pages (the book itself is less than 200 pages), the data presented is quite understandable and should present little problem for the general reader. There is one numbers-related problem which lends to a wee bit of confusion in understanding the author. 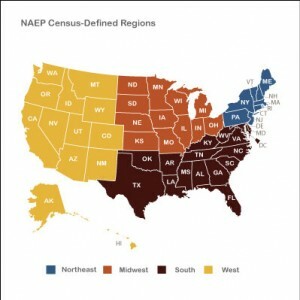 Hanlon presents data which describes the suburbs nation-wide–uncontrolled for census regions. She also, in fact as we shall comment shortly, provides considerable data based on each of the census regions (Northeast, Midwest, South and West). These sub-national patterns are each quite distinctive and depart, at least to a considerable degree, from the national pattern. Unfortunately the national pattern (all the 3500+ suburbs in her sample) do not reconcile very well with the patterns found in each of the census regions and given that she frequently intermixes this nation-wide pattern of suburbanization with sub-patterns of regional suburbanization it can be very hard to sometimes keep each separate. Both can be in the same paragraph and the chapters intermingle them freely. The reader does have to pay attention and the findings will come fast and furious–to the point one almost has to write them down to keep track of them. Hanlon does provide some good summary tables of these findings, but by the time you get to them, the reader may be a bit off-centered. The Curmudgeon has never claimed to be a methodologist; he has been trained in it more than he likes to admit, but…. the training obviously “didn’t take”. To be honest, as a very old Curmudgeon, he is a bit uncertain as to how far one can push these methodologies in the social sciences. Sometimes, he feels, certainly without any justification, that academic writing has become more methodological than substantive. Hanlon has a lot to say, but she seems more interested in wrapping her observations in methodology than expressing them in simple English. In any case, there is one methodological point which, he feels, ought be brought to the reader’s attention. Hanlon seeks to better understand the fiscal crisis and decline which characterizes substantial portions of suburbia. So she constructs an “index”. This index is built upon key variables such as: changes in population (both absolute and relative), median household income, people in poverty, 1980-2000. From these variables she culls a sub-sample of three “deciles” from her overall sample and cobbles together a typology of suburbs. The findings of her last, crucial chapter, are based on this index and sub-sample. Both her index and the sample are carefully explained in an Appendix, if one is so inclined. The problem is that the index and the sample are not especially convincing. The Curmudgeon is so unclear why a sample was used at all. The index he can understand, the need to study deciles of the database and then project them through some formula-estimation to the overall database is an unnecessary weakening of what is otherwise well-supported research.